Alexander is not very good at managing money. When his grandparents give him one dollar, will he save it or spend it? 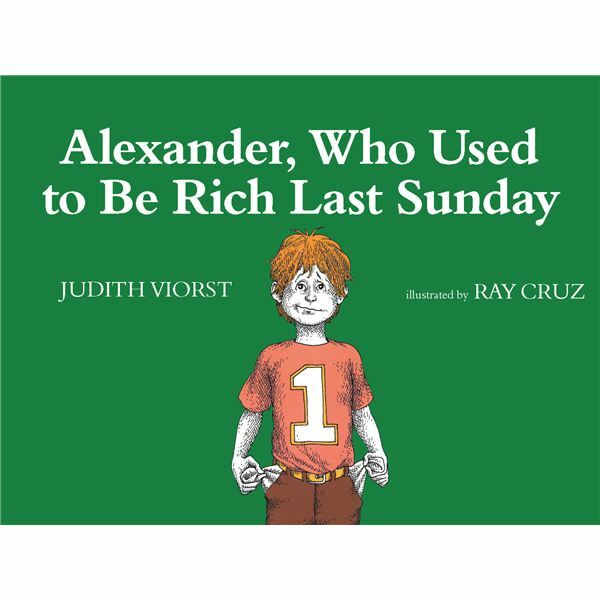 Follow the text of the book and count the money as Alexander finds unusual ways to change the amount he has. 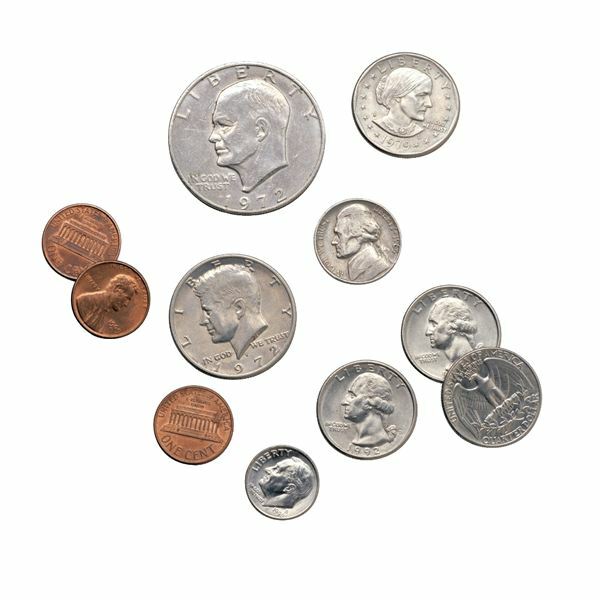 Extra coins and bills – keep separately: two dollars, three quarters, five dimes, seven nickels and eighteen pennies. Place the following coins in zippered bags: 1 quarter, 4 dimes, 5 nickels and 10 pennies. Prepare enough bags to have one for each group of two or three students. Provide bags of coins for every two or three students as you read the book. They will use these coins beginning on page twelve. Use the extra bills and coins (see supplies) for the first two pages. Begin the book. On the first page brother Anthony has money to count. Ask a student or students to count the right amount with the coins and bills you have. Do the same on page two. How much does Nicholas have? Then continue to read the book and instruct all of the students to work together to find the amount that Alexander has each time something happens. After finishing the book, place students in groups of two or three. Each group should have the prepared bag of coins. Say, “Each group has a bag of coins that equal $1.00. We are going to play a game. You will take turns adding one coin to reach a target amount. For example, if the target amount were 32 cents you would each add a coin to the pile until someone reaches exactly 32 cents. The person who reaches the exact amount is the winner of that round. This takes some thinking and strategy!" You may want to play one round together as practice. First begin by adding coins up to the target amount. Then switch the game by instructing the students to start with $1.00 and work backwards to a target number. Then they would be subtracting. Keep the prepared bags of coins and pull them out for a quick game when you need an instructional filler for ten minutes! Viorst, Judith. Alexander, Who Used to Be Rich Last Sunday. Atheneum Books for Young Readers, 1978.